Stenosis is a condition that can develop as a person ages, particularly in those over 50. It is characterized by a narrowing of the spinal canal, which places pressure on the spinal cord and nerves, because there is not enough room for them. It resembles placing a ring on your finger.>If the finger becomes injured or inflamed, the ring constricts and causes pain. The pain caused by stenosis is typically focused in the low back area and can shoot down the legs and flare up after walking or exercising. If surgery is required to treat this condition, minimally invasive surgery may be an option. Northwest Florida Spine avoids traditional open laminectomies which are far too destructive to surrounding tissues and may lead to potential instability. A unilateral decompressive laminectomy is carried out on the side of the overgrowth. The lamina above and below the narrowing may be removed partially or completely. Using a minimally invasive laminectomy, the location of the incision is often established by an intraoperative X-ray, using fluoroscopy. A skin incision about 1 inch in length is made to one side of the middle of the back at the surgical level. Dilators are placed sequentially to split the muscle down to the lamina, the back part of the spine. 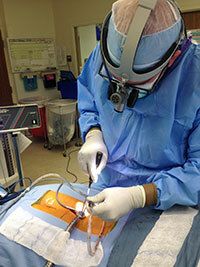 A retractor is then placed to hold the muscle tissue back and allow surgical access to the spine. Using a microscope, soft tissue is removed and the bone exposed. Use of a microscope improves the lighting and vision in the surgical area, making the surgery more precise and accurate. Specially designed surgery instrumentation is then used to remove bone spurs and the lamina on the side of the approach. This is referred to as a lumbar laminectomy or lumbar decompression. The table is then tilted and the spinous process undercut. The anterior portion of the lamina on the opposite side may then be removed. The ligament under the bone is opened and removed using special instruments. The disc can also be inspected. Minimally invasive lumbar laminectomy generally involves smaller incisions, less pain following surgery, and less blood loss than traditional open laminectomy. Recovery is often faster than with a traditional approach. Many patients with spinal stenosis are advanced in age. Minimally invasive lumbar laminectomy is easier to recover from than a traditional approach. 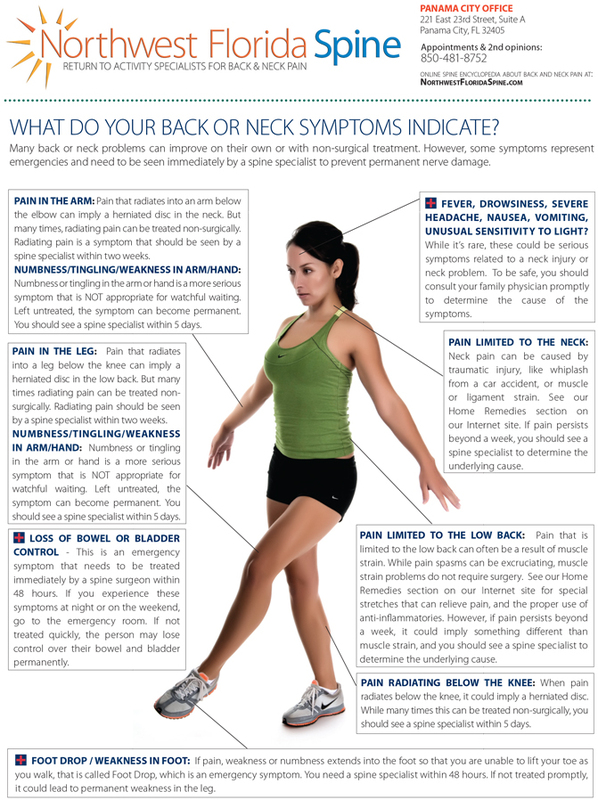 In most cases, a minimally invasive laminectomy is performed as an outpatient procedure or 23 hour stay.